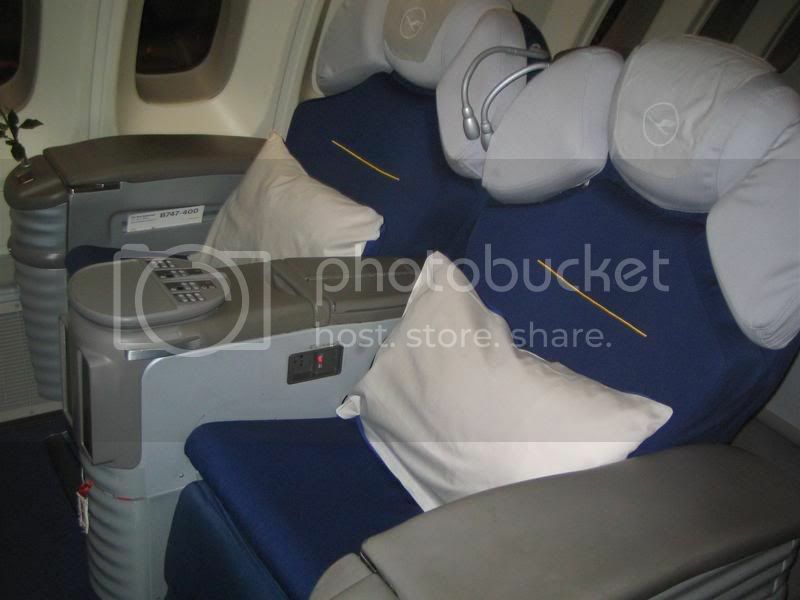 lufthansa and united business class? i am considering travelling round the world business and first class with star alliance arlines lufthansa and united airways. I think LH F is an all round solid product. If they update their seating and IFE - they're easily one of the best products out there. The seats on LH F arent your latest state of the art pods, but they are sufficiently comfy. 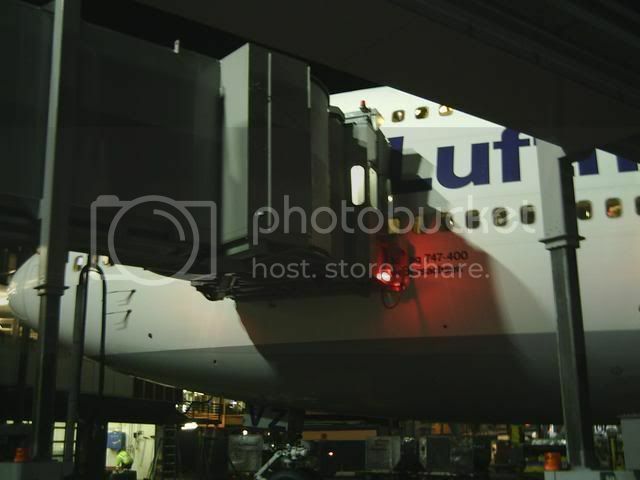 2-2 config on the upper deck of a 744, or 1-2-1 config in the Airbus. They do recline to 180 degree and you get a very nice snuggly blanket, although no duvet. In order to provide you with more time to rest, we offer our new Night and Light Service; an assortment of cold and hot delicacies as well as cheese and dessert served from the cart in one course. 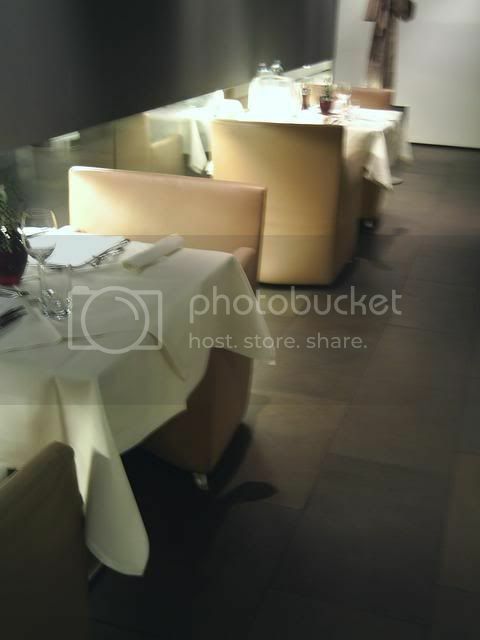 We are more than happy to offer you our acclaimed menu of several courses if you choose not to use this service. You will get PJ set - a polo top and PJ bottoms. And also an amenity kit that changes every month - I've had both La Prairie and Caudalie. I did not use the IFE, but it consists of both a PTV and a personal video player. The selection looks pretty reasonable. And the best bit yet - the First Class Terminal at FRA. You can access it when departing FRA on LH in F, or when connecting from an LH F flight to another LH flight. It's literally its own terminal, complete with its own check in facilities, security, duty free shop, passport control, and flight departure screens. You will get a PA who'll help you with all the formalities. There is also a restaurant, both buffet and ala carte, catered by Do and Co, with an extensive wine list (and a well-stocked bar). Other facilities include showers/baths (complete with rubber ducky) and day rooms. And the highlight - you get chauffeured to your aircraft in a limo! 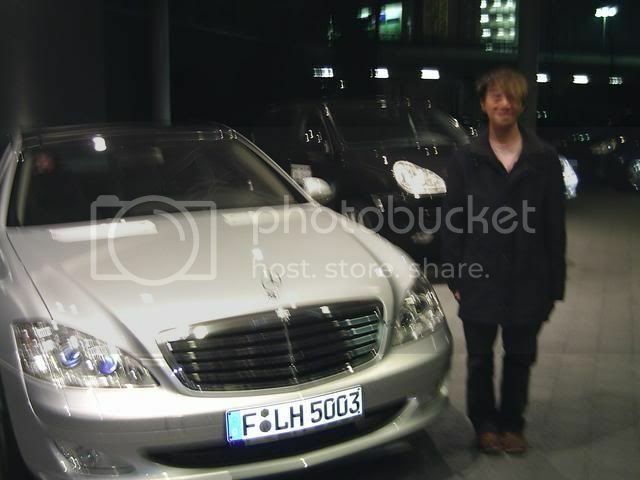 A choice between a Merc S class or Porsche Cayeene usually. If arriving in FRA on LH F and connecting to a non LH flight, then you'll not be able to use the FCT but you'll be able to use the First Class Lounges which have the same facilities, sans limo transfer. The current Lufthansa/United/Thai Round the World (actually termed return, but ends up being round the world), is good value at $5500 plus tax. I've taken it 4 times this year so far, and am off again using it in 8 days time. Firstly you have to accept that United are not great, in my case I always upgrade to first for UA840 to LAX, this makes it not too bad a flight, secondly this fare doesn't include LAX to NYC on United, so if you're flying to the East Coast you'll need a separate flight. This time I fly to JFK the next day and have to be back in LA two weeks later, but then fly to FRA, again I'll upgrade to first, as I have quite a few vouchers to use, but have taken both the LAX FRA and LAX MUC flights, and prefer the MUC as it's a nice new Airbus. The vast majority of the time I've throughly enjoyed flying longhaul with Lufthansa (about 30 times this year so far), there is however the odd occasion where you get an old 747 with older business class seats, but that is rare, this year. FRA is my hub in Europe as it's central to most of my trips, and it's a very good airport to go in and out of. Lounges can be busy, especially mornings and early evenings with all the day communters, but generally during the day they are fine. And the First Class terminal is superb. But customs is a breeze and baggage is very efficient, as you would expect. A tip if you stay at the Sheraton at the airport at all, pay a bit more and stay on the club level. Thai have again generally been pretty good this year, although, again the lounges are really busy, and on one instance they forgot to load the amenities kit. The in flight entertainment is very good. I tend to get looked after a bit on Star Alliance flight as I've been SEN for quite a while and am now HON, so maybe my view is tainted. But with the above in mind, two thirds of it's pretty good, if you can cope with United. Although the Red Carpet Lounge's are generally pretty good. Unless you actually have to be in Asia, you get more mileage doing UA both ways. Hmmm.. looks like one would have trouble staying on that seat; it might go to 180° but sideways? sensational reply thanks for your assistance and big effort on this one . Except you can't use that fare. You must go via Asia one way or the other. Can't you do the US both ways on the ZAAX/ZAX/AAX fares? Or has that changed? There's also another one that goes to Europe and back via ICN and OZ. I don't know what OZ is like though. And IIRC if departing ex-NZ you get to use NZ. Good alternative if you want to avoid UA or TG. Can't you do the US both ways on the DAAX/DAX/AAX fares? Or has that changed? No this fare is United to the States Lufthansa to Europe, Lufthansa to Thailand, and Thai to Aus, or visa versa. There is also another one going via Singapore. You two flight options to the states UA840 from Melbourne or the San Fran flight originating in Sydney. I did the fare with TG both ways (MEL-BKK-FRA-LHR-FRA-BKK-MEL) so I'm sure UA both ways is possible. edited to add - Just got off the phone with LH. You do not have to use both TG and UA, it can be EITHER. The only requirement is flying LH to/from one of the gateway cities to FRA/MUC - whether BKK/LAX/SFO. You also get 2 coupons in Europe. I agree it and have done it both ways, as I said "visa versa". But you cant go via NZ. Oops sorry - I meant the NZ fare was for the NZ market. You can make ur own way across to NZ yourself to pick up the fare if you really want to avoid UA or TG. No worries, we're on the same page now, anyhow it's a really useful fare. Yes you can use UA across the Pacific, both ways, but you have to use LH from US to Europe and back. Nothing wrong with UA in C, if the price is right (I would say that as I'm MP MM). OZ is very nice in C on their newish 777's (lie flat (ish) seats). 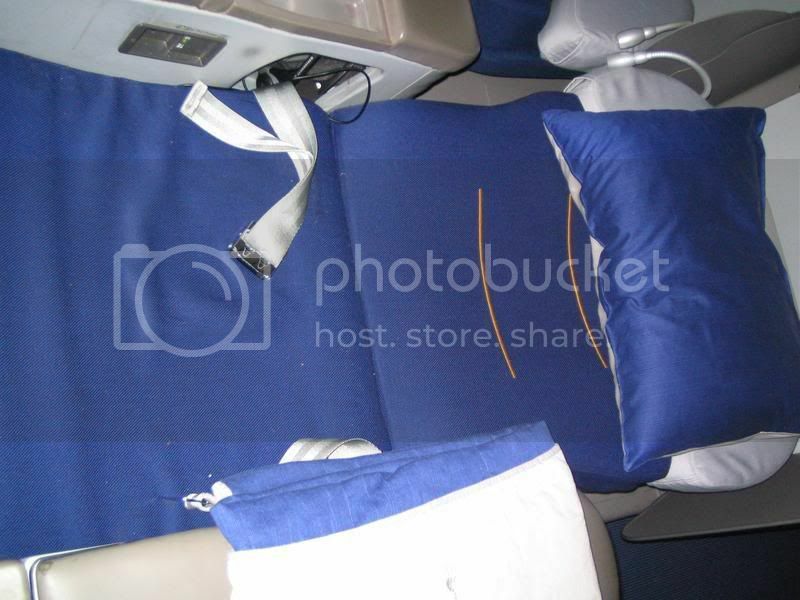 The 747's are just old seats, but the service is good. I'd certainly fly them again, though. 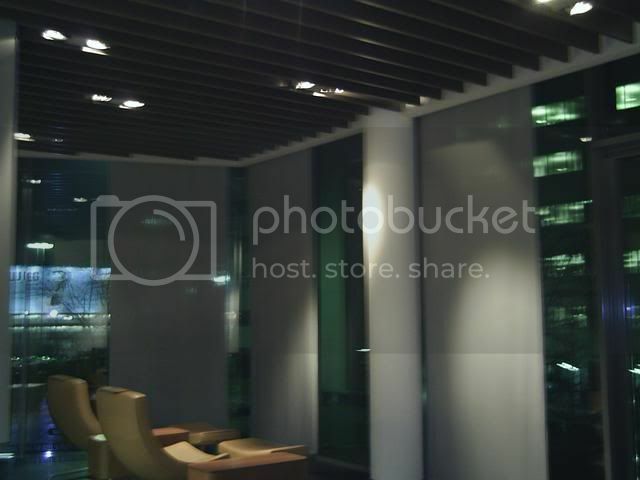 And the lounge in ICN is very nice too. Hmm - so long as they don't do the equipment switcheroo like TG. I'm not fussed with lapses in service but I nearly cracked it when I last had the mccrappy regional seating on the 773 for mel-bkk. Wasn't the first time either. So I do not trust TG these days, cheap fare or not. I have some SEN vouchers to use - I might just do the fare that allows SQ via SIN (even allows AC and QF too from memory...) or hop across the tasman to pick up the NZ market fare.